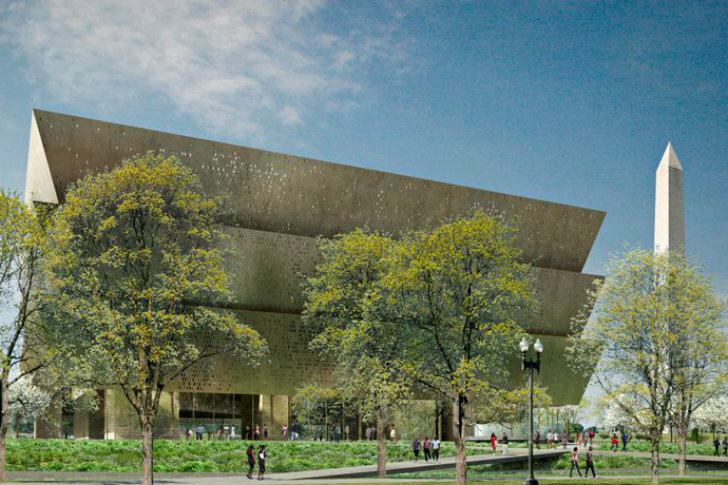 The recently completed Smithsonian National Museum of African American History and Culture is the only national museum devoted exclusively to the documentation of African American life, history, and culture. It was established by Act of Congress in 2003, following decades of efforts to promote and highlight the contributions of African Americans. 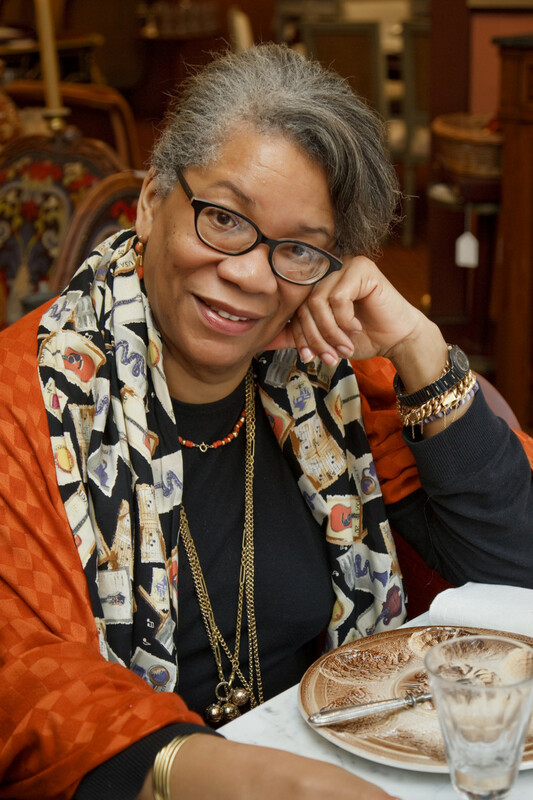 Within the museums’ exhibits are five forms of cultural expression including “Foodways: Culture and Cuisine.” Author and historian of African-American foodways Jessica B. Harris was a consultant on the project, and talks about range of influence of African-Americans in the foods and cooking of the United States. And she gives us a behind-the-scenes look at the careful planning of regional foods offered in the museum’s Sweet Home Cafe. 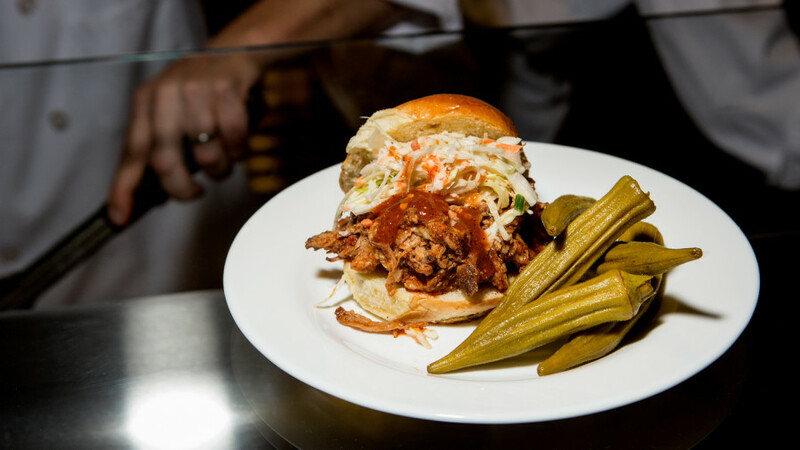 Lexington-style BBQ pork sandwich, served with slaw and pickled okra, one of the offerings of the Agricultural South section of the Sweet Home Cafe. The restaurant inside the National Museum of African American History and Culture has a menu designed to highlight the breadth of black contributions to the nation’s cuisine.